Frankie: "Certainly there will be huge emphasis on sandbox, exploration and renewed and enhanced emphasis on storytelling, but the addictive heart of Halo is still there – moment-to-moment combat that’s going to be just as challenging against real-life opponents as fictional sci-fi ones." Weapons, armor, vehicles and enemies have all been updated with the game's more detailed, grittier graphics. The audio was tossed out and started over. The game's multiplayer, too, gets a reboot with new maps inspired by the game's campaign, but not seen in the story-driven gameplay. And there will be perks, a new way to customize your Spartan IVs armor changing not just the look, but their balance. Halo 4 will feature deeper integration with Waypoint than any previous Halo game, and we have long-term plans to continue growing and evolving the experience in new and innovative ways. That said, we have no plans to charge players to use Waypoint beyond the standard Xbox Live Gold subscription needed to access the service." Creative director Josh Holmes said the game is "the beginning of an epic new sci-fi saga that will define the next decade for Halo … We don’t want to imitate what’s gone before. We need to find our own voice and give ourselves the freedom to take chances and push things forward. 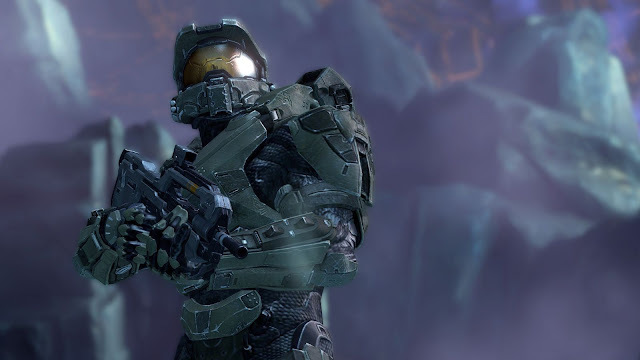 In some ways you can see Halo 4 as a bit of a reboot." The maps won't be lifted from the campaign but rather have been created specifically to allow for balanced gameplay. When asked about balancing the multiplayer for MLG pro-gaming, O'Connor said that they are taking MLG seriously, but didn't go into detail as to what exactly that meant. In multiplayer, characters will control Spartan 4s, which are a new type of Spartan super-soldier; there will be a wealth of customization options for your Spartan. Some of those options will be cosmetic, but some will be functional. 343 intends, according to Holmes, to "redefine whatHalo multiplayer is and make it something that’s indisputably Haloat its core but is evolved in important and innovative ways ... Our design goal is to dramatically reinvent the multiplayer experience - both the core element and surrounding modes." 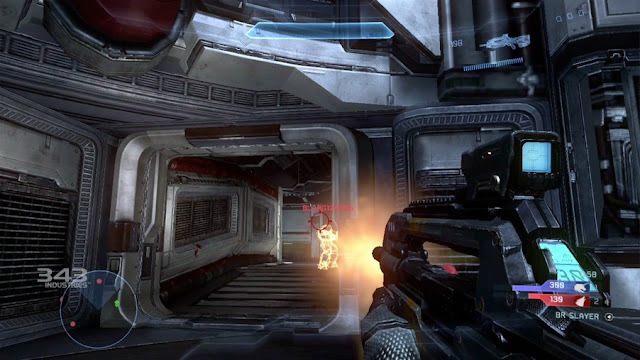 The only footage 343 showed of Halo 4 was of the Slayer multiplayer mode over two maps. It revealed faster play, smoother animation and a slightly cleaner, more coherent visual style. As inReach, armour will be customisable, both aesthetically and with a set of abilities that will mark an evolution of Reach's Armor Abilities performance-enhancing choices. 343 won't yet reveal how. IGN said: What we were allowed to see was a brief look at two new multiplayer maps featured in Halo 4. Wraparound was a vertical map which appeared to take place in the clouds and the second map, Warhouse, was a military base with a giant mech set in the very center. Each map had more of an intimate and less open feel to it, which will undoubtedly result in some high kill counts and frantically paced shootouts. You'll also be using a new brand of Spartan in multiplayer, the Spartan IV, a sleeker and faster model than the Master Chief. 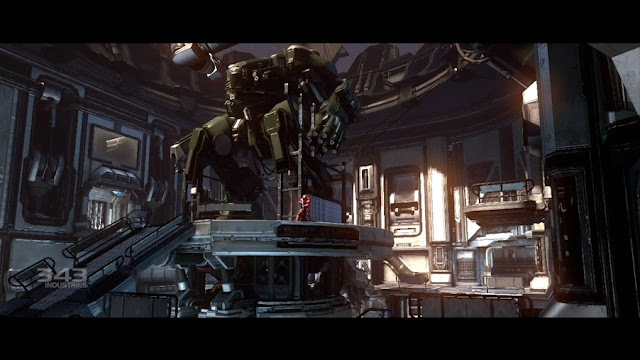 The customization features that the Halo franchise has been known for will be built upon, and 343 Industries also revealed that Halo 4's multiplayer element would somehow tie into the game's story, but wouldn't elaborate further on either. The maps boast the form that the series has well established, and they've been lent a new sense of purpose. 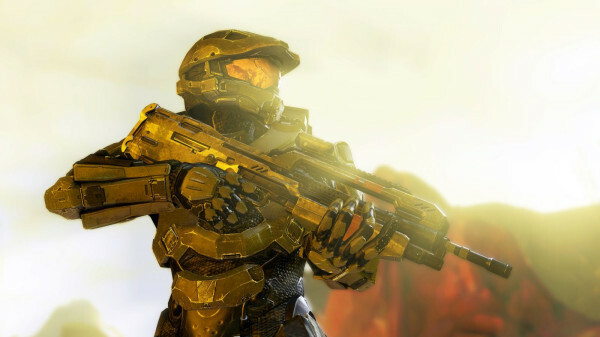 343's intention is to reinvigorate multiplayer, and to have it work with the campaign in more meaningful ways. 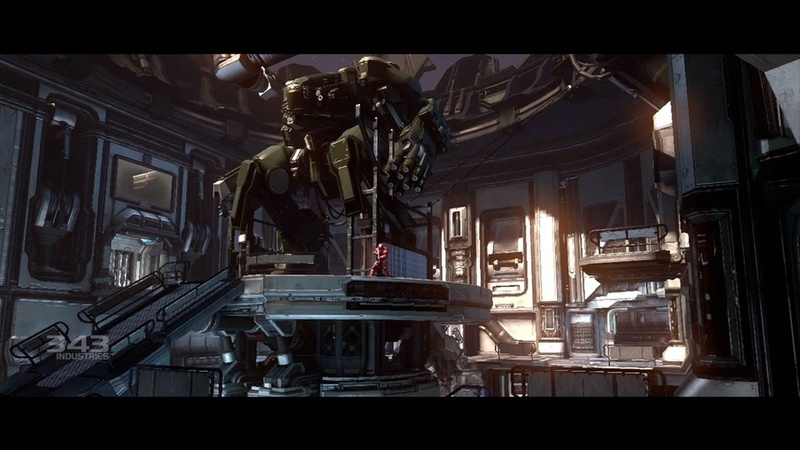 Intriguingly, it wants to lend a purpose to the ongoing fight between red and blue, a fight that will be justified in Halo 4's narrative - setting off spiralling thoughts of a civil war introduced in the campaign and played out in the multiplayer, charting the new conflicts that emerge in the wake of the war with the Covenant. So Halo 4 looks like Halo and, in all likelihood (playable code, like so much else about Halo 4, is being preserved for another part of its doubtless prolonged PR cycle), it feels like Halo. It's red-versus-blue, it's rechargeable shields, and it's shooting that's playful in tone. Frankie: "Our game isn't going to be any less serious in tone than Reach," says O'Connor. "Reach felt domestic for a very specific reason, as you felt that you were on one world, and you were trapped there during this catastrophe around you. This game will have a very different, more explorative feeling. There'll be lots of sci-fi tropes in there, but also smaller stories. I can't go into specifics, but there's something in there that's going to be like walking along a beach looking for Man Friday. "